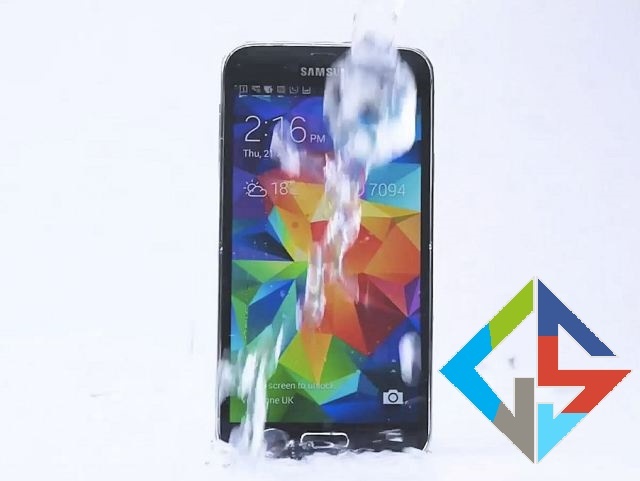 We saw people like Mark Zuckerberg , Bill Gates , Larry Page and +Sergey Brin taking the ALS Icebucket Challenge and raising the funds and awareness of ALS .Samsung used even this for promotion of its product Galaxy S5.Its smart marketing, given that the S5 is waterproof unlike many other leading smartphones.The Galaxy S5 challenged the iPhone 5s, the HTC One M8 and Nokia Lumia 930. “Gosh, that’s freezing,” a computerized voice says after a Galaxy gets with ice water. For any reader who has been living under a bucket, people across the globe are dumping ice water on their heads to raise money and awareness for ALS, also known as Lou Gehrig’s Disease. For the record, Samsung is not the only smartphone that could take the challenge. Sony makes several waterproof members of its Xperia family, while Kyocera specializes in rugged and water-resistant models. While the publicity stunt is certainly clever, Samsung takes a risk by essentially using a charitable endeavor as a marketing ploy.However , its too weird mobiles taking ALS Ice Bucket Challenge. Here’s the video, posted to YouTube.